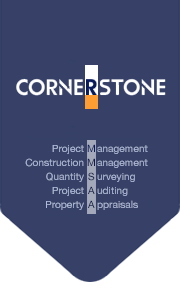 Quantity Surveying - Cornerstone Management Co.,Ltd. Our philosophy is to add value to the traditional core services associated with cost management through the addition of specialised, dynamic innovative services and leading edge skills demanded by today’s clients. Cost management is central to an integrated design process that ensures the vary best value for clients. Our professional consultation process draws on relevant data from Cornerstone's extensive database to suit all procurement routes, at any time during a project. This customer-focused approach ensures critical decisions are taken when it matters, and in the most appropriate manner with the benefit of helping our clients achieve maximum return on their investment.